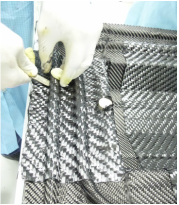 Resin infusion and light RTM composite production methods are very closely linked as the theory relating resin flow through dry fabrics is the same. The key difference between our 3 and 5 day infusion courses is that the 5 day course extends to include film infusion and Light RTM. Understanding the way in which resin infusion works is key whether you are designing an infusion or conducting production infusions daily. Our Infusion course covers key principles and how slight variations in conditions can affect an infusion. 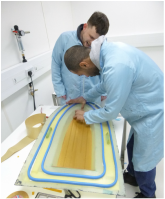 We will show you how to produce the best quality resin infused parts. This 3 day course covers infusion with external and internal infusion media using consumable vacuum bagging, re-usable vacuum bags and closed tooling.